2000 years ago, there was a day in the history of the world, which was not a mere mythological story but a historical fact.An incident which never happened before and will never happen ever again in the future. Zac 9:9 Rejoice greatly, Daughter Zion! Shout, Daughter Jerusalem! See, your king comes to you, righteous and victorious, lowly and riding on a donkey, on a colt, the foal of a donkey. Jesus entered the city of Jerusalem on a donkey, an animal which is considered the lowest and stupid among all. The King of Kings chose a donkey to enter the city where people welcomed him royally and the very same people screamed at the top of their voice to crucify him. When Jesus was entering, he knew very well what was his fate and yet he chose to obey his Father. He chose the suffering for you and me so we could stand before God blameless and spotless. I know many of my friends who are living a casual life even after knowing Jesus Christ. What does the word of God speak of those who have fallen back after truly tasting Jesus Christ? It is impossible for those who have once been enlightened, who have tasted the heavenly gift, who have shared in the Holy Spirit, who have tasted the goodness of the word of God and the powers of the coming age and who have fallen away, to be brought back to repentance. To their loss, they are crucifying the Son of God all over again and subjecting him to public disgrace. The people who gave a royal welcome to Jesus also gave him a capital punishment. Today, let us introspect our life. Remember the day when you gave Jesus a grand welcome into your heart and how is it today? Are you crucifying him again and subjecting him to public disgrace? Have you lost the first love that you had for him? Yet I hold this against you: You have forsaken the love you had at first. A few years back I got to hear a sermon from a man of God who spoke on Palm Sunday, he asked us a question, If you were given a choice to name the donkey who carried Christ, what would you name him? This is what he answered, if he was given a choice he would name the donkey as “Christopher”, which means the one who carries Christ. You are special, he has special plans for you. No one born is a mistake, all are part of his creation with a purpose. 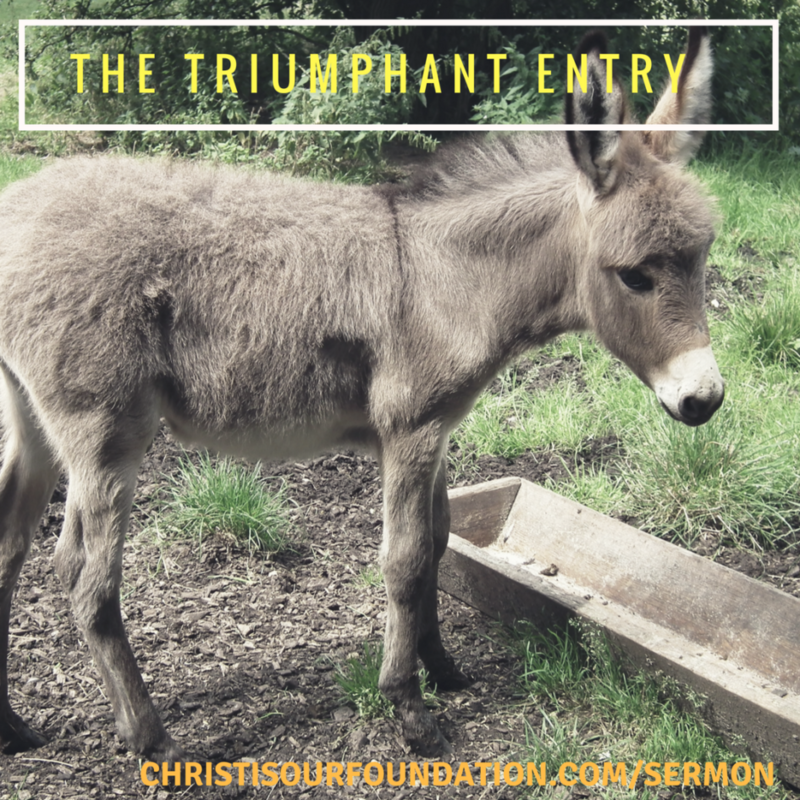 The donkey was considered to be the most stupid animal and yet God used him for the triumphal entry into the city of Jerusalem. This article was written under the section Weekly Manna in the category Sermon.